Happy Wedding Day to my friends Charlie and Juli! Happy Day Off for Christopher! Seems like a pretty good Friday, no? You KNOW I LOVE this musical, right? I’ve seen it TWICE. I would have seen it three times, but one time we were planning on seeing it in Seattle didn’t work out. 😦 But I have never read the book! I am reading it now. I am still in the early chapters, but so far it is pretty darn interesting! SO different from the musical. SO different from The Wizard of Oz. Dark. I am liking it so far! I really love having satellite radio on my DirecTV. I have it play on a station called Soft Hits. It plays all kinds of music from many different generations. A really great and non-repetitive mix of good songs. Okay….I broke down. I DVR’d Once Upon a Time and GRIMM. 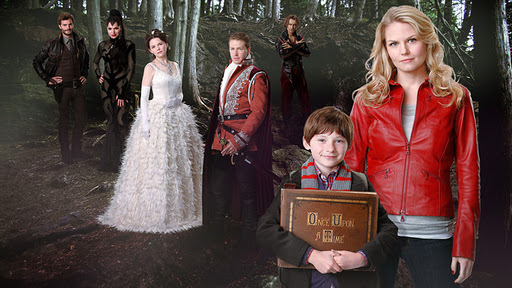 I have to tell you…I have fallen in LOVE with Once Upon a Time. 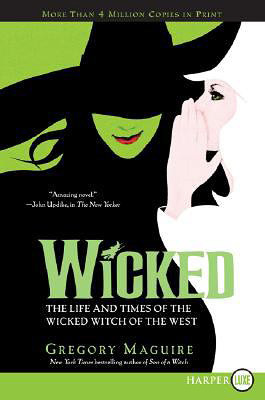 The story, the writing, the acting, the imagery, the costumes…all of it! I LOVE IT! I do not have time to watch a show…but I think I may have to make time for this. It sucked me in from the first episode. GRIMM on the other hand…well I like it. But, it has parts where it gets a little hokey. And dumb. And why does everyone drive a Volkswagen? Not everyone in Portland drives a Volkswagen. Anyway, I like the big bad wolf character actor. He is funny. He could steal the show. I don’t love it, yet, and might not ever. But I will keep watching, as time permits, for a few more episodes. At least until episode 6 because my cousin Kendra trained the rats that they use in that episode! COOL. Cleansing, healthy foods! Typical fare: Oatmeal, salad, grain with legumes, fish, green vegs, fresh fruits, tea. Monday is the last day of my cleanse. Feeling good! Gah!! Thanksgiving, which I am hosting for my mom and gma, is less than two weeks away. My house is a disaster. I haven’t shopped or prepped. My cat had to go to the vet. I have lots of homework. Gah! It will be awesome, though. It always is, and it will be fun to have guests for Thanksgiving. Our first Thanksgiving in Medford my 3 best girlfriends came down and celebrated with us. It was lots of fun. Last year, our second in Medford, we were all alone, my mom was in the hospital, and it just wasn’t a really festive Thanksgiving. This year will be much better. This entry was posted on November 12, 2011 by Corrie Beebe in books, friday five, random.